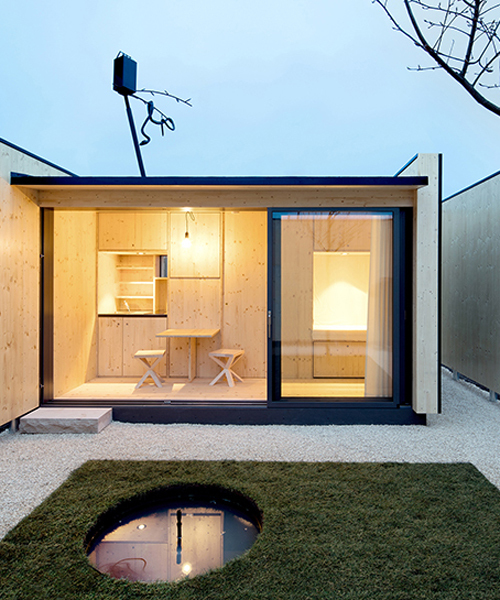 at first glance, atelier kaiser shen’s ‘micro courtyardhouse’ project seems out of place. 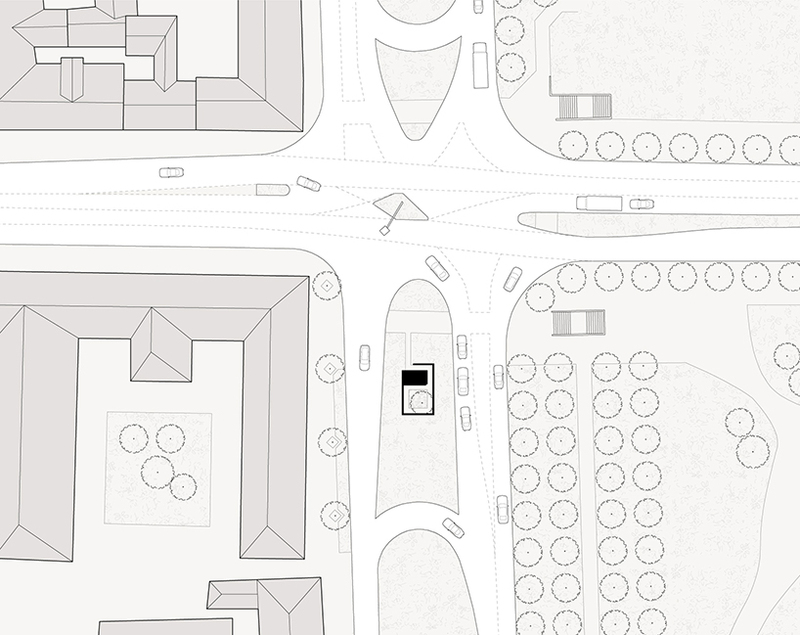 perched between four sets of stoplights, it stands upon a traffic island in ludwigsburg, a city near stuttgart. on a given day, thousands of vehicles pass by and pedestrians walk hurriedly across the intersection. 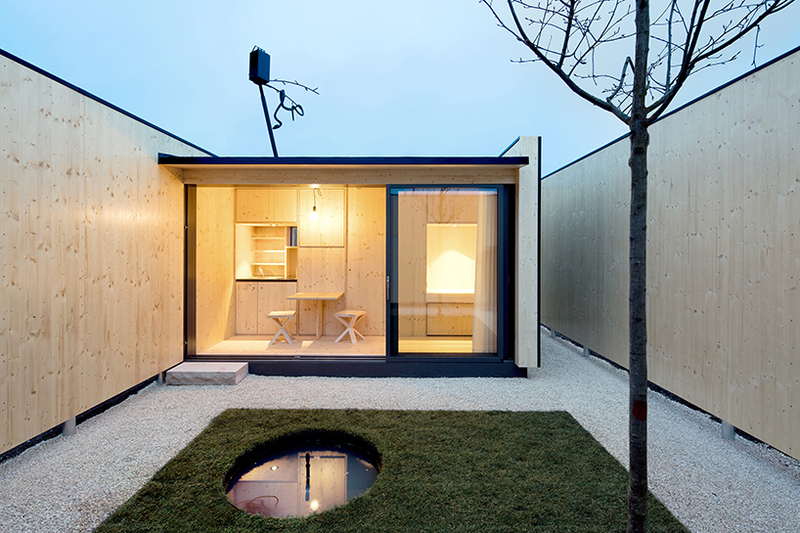 the micro courtyardhouse is a new approach to dealing with ‘living in minimal space’. 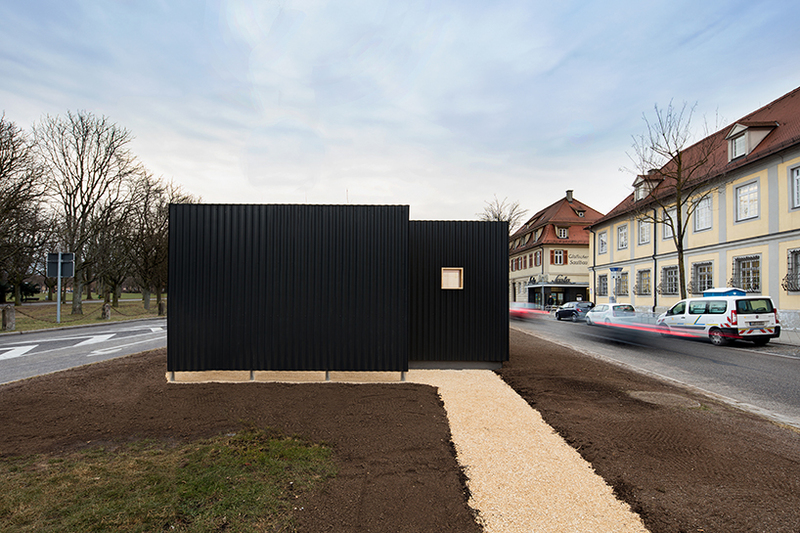 despite being in the midst of a busy crossroad, it provides high privacy by separating adeptly the living space from the outside world. the interior is secluded from the outside, with only a spiral entrance leading curiously inside. 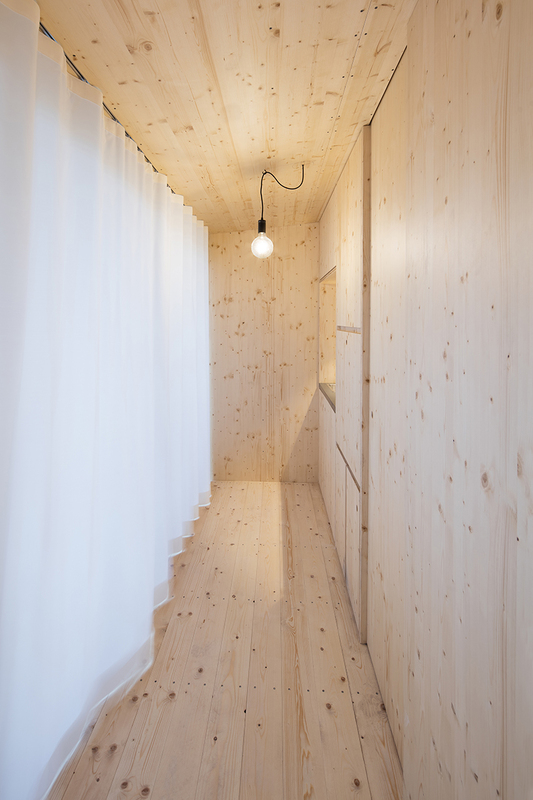 at merely 7.3 square meters, german based atelier kaiser shen‘s micro courtyardhouse contains all of the required utilities. the bathroom, cupboards and kitchen have a depth of 85 cm and are arranged along the main wall, which also features a foldable table and bed. 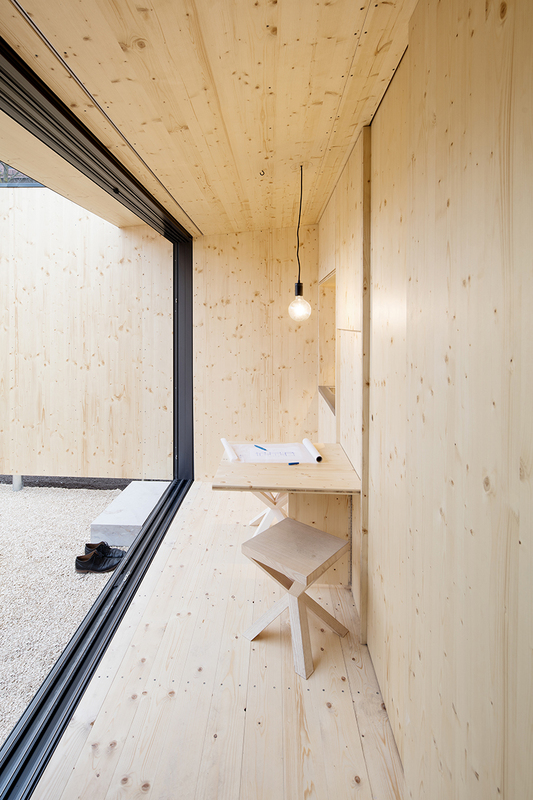 a square window along this wall connects the living area to the outside world. opposite to this side, a long glass door spanning the entire length of the house loosely separates the living space from the tranquil garden. in summer, the glass door can be slid open, effectively merging the house and the courtyard. the exterior design is inspired by traditional chinese courtyardhouses. 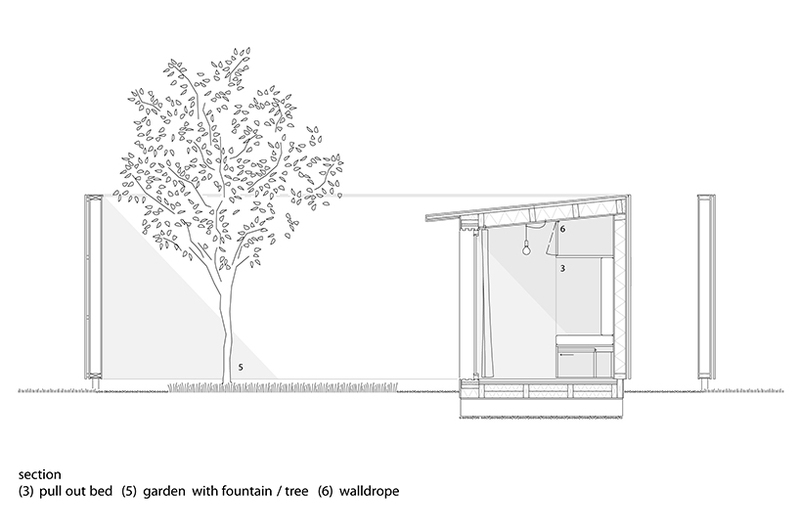 a single tree stands beside a fountain, creating an asymmetric arrangement. the fountain not only serves aesthetic purposes, but also as an effective acoustic feature against noise. 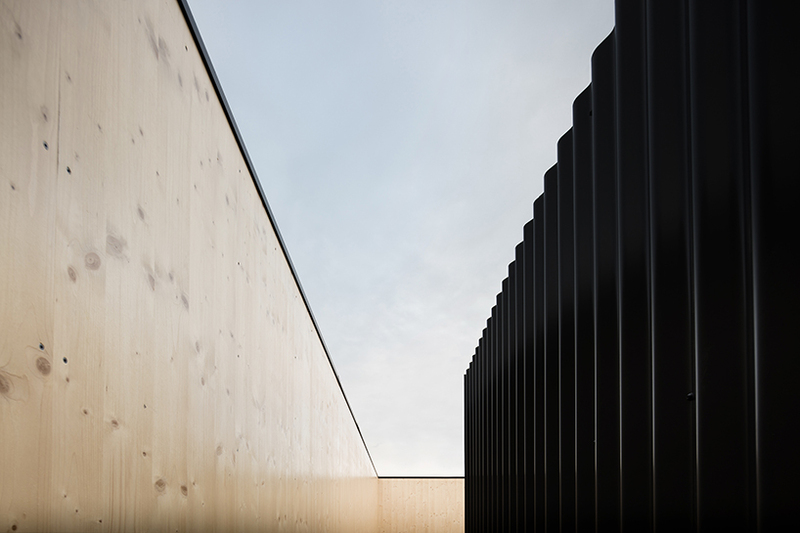 spruce panels with timber frames lay on top of pillars 20 cm above the ground, generating a light ambiance. 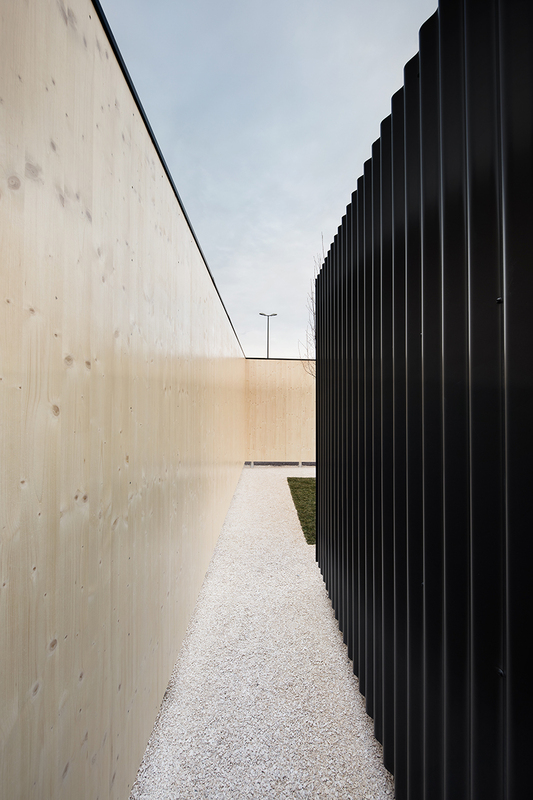 the cozy atmosphere of the inner wooden wall contrasts the dark corrugated iron sheets of the external facade. the juxtaposition between inside and outside, open and closed, noise and quiet, privacy and public, enriches the architecture. 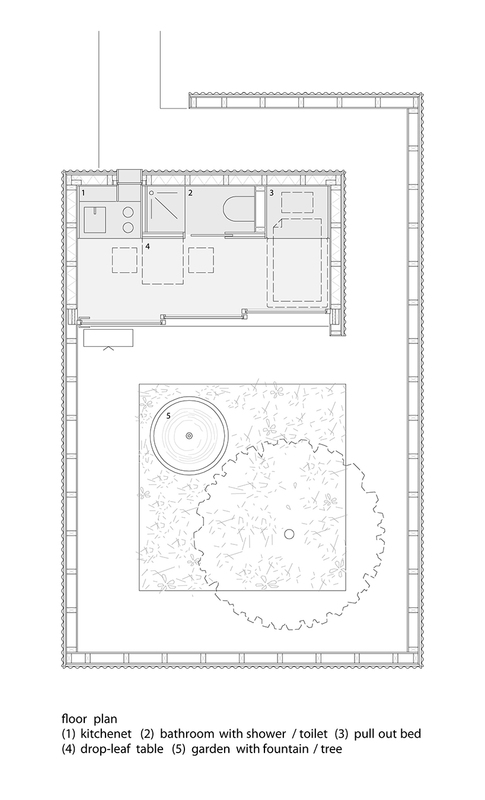 it thus becomes clear that kaiser shen’s micro courtyardhouse is an ideal solution to utilizing minimal space, even the most unusual ones. despite being situated in a tight and hectic space, one can still escape from the busy world and gaze into the open skies. I quite like this concept. I live on busy road and understand limitations to create a happy usable space.